As poetic in conversation as he is in presentation, artist Phillip K. Smith III gifts his audiences nothing more than the imprint of a memory and the beauty of the world around him. 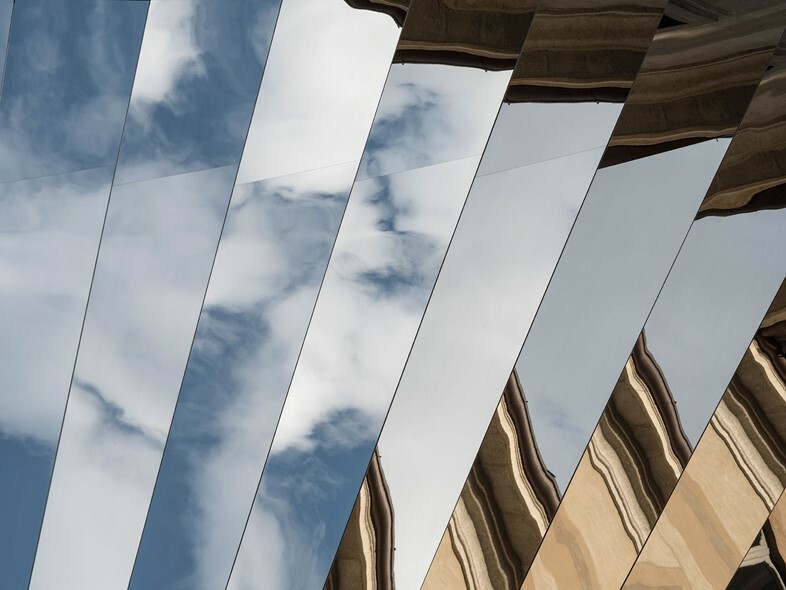 In practical terms, his prominent use of mirrors and light refracts the environments surrounding each installation, but his unspoken request for the viewer to focus their intrigue on the often vast stretches of sea, sand and sky surrounding his work is powerful. While many artists thrive on the enigma of presenting an opportunity for subjective interpretation, the message presented by Smith in his Milan Design Week collaboration with COS is one of a person who spent a childhood bathing in the arid glow of the Coachella Valley and a lifetime meditating on the landscape as his palette. Reflecting on his international debut, Smith talks Palm Springs, reflection and the value of experience. “I think that certainly my interest with this project – because this is the first time it’s ever being seen – is that it is going to create an impactful memory not only for myself but for the general public that gets to experience it. It is a highly dynamic very unique experience that I will happily say has gone beyond my own expectations for it in a very powerful way. Certainly the excitement of working with a very specific site that has these specific parameters and this context that you get to interact with – I like doing that because it allows me to deal with ideas and parameters that I could never think about recreating in my own studio. I would never conceive of working within a palazzo within my own studio, so the thought of this project coming forward to me allows me to push myself as an artist, it allows me to think of new ideas and how I can translate my ideas and collaborate my ideas within this specific space. “For me, what is interesting when you think about the desert – when you’re standing in the valley floor, way out there and there’s nothing man-made in front of you – is that if you really distil what is in front of you, you’re seeing land and sky. You’re seeing two materials, joined across a horizon line. 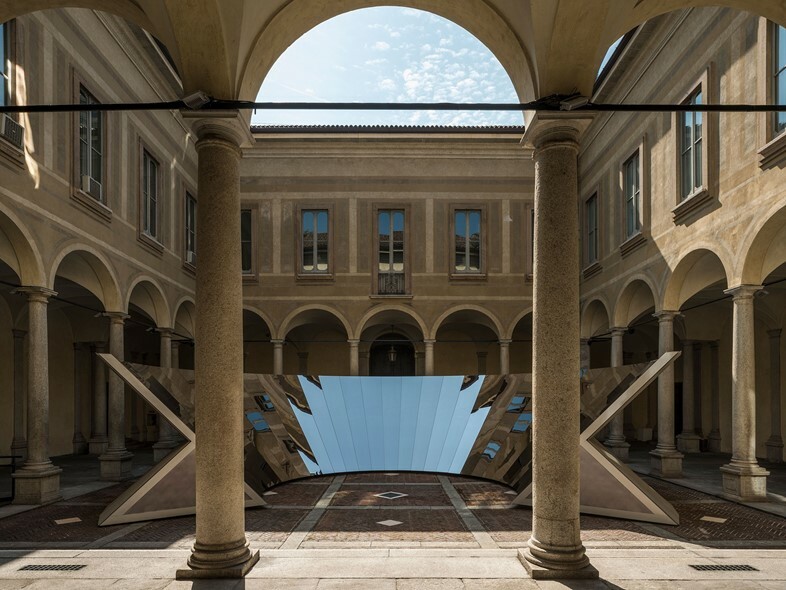 What’s interesting about Milan is that even though I’m here in the middle of one of the most urban cities in all of Italy, within that courtyard it is kind of a shielded view. 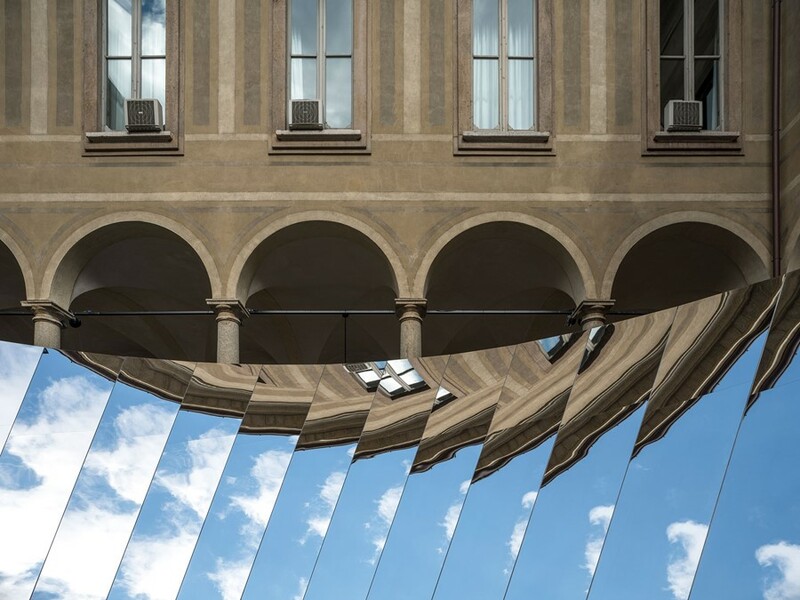 All you have in front of you are two elements: architecture and sky. In a strange way, even within a setting there’s a distillation of the environment to these two key elements. I’m very interested in that. 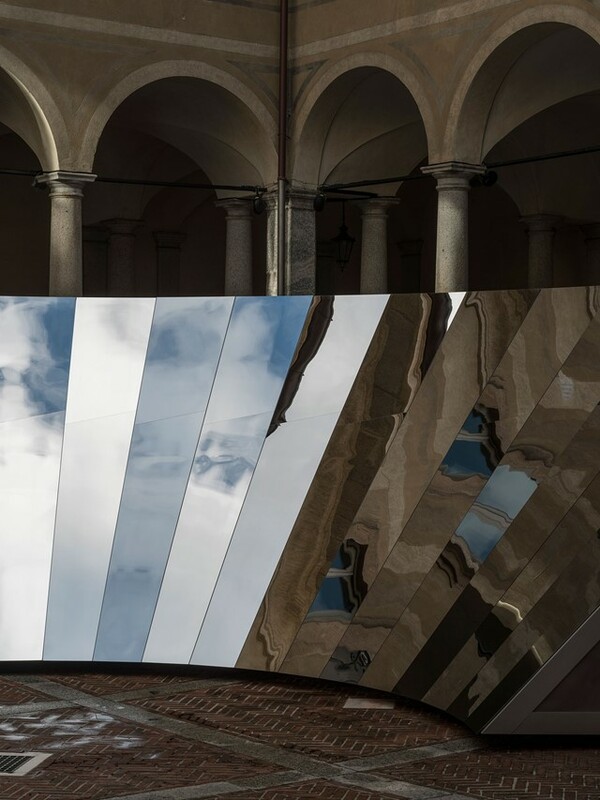 Open Sky is at Palazzo Isimbardi, Milan, until April 22, 2018.